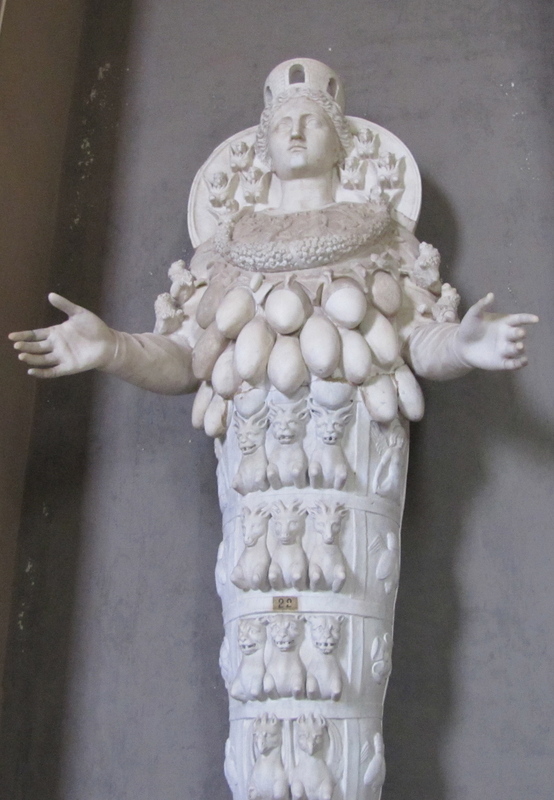 As for veneration, and documentation, the early Christians were a little busy getting eaten by lions or being attached to anchors and thrown into the sea to document everything. But then again, why would you trust Arrian that a battle did happen at Gaugamela at which Alexander crushingly defeated the Persians when Arrian wrote 400 years after the supposed battle but disbelieve Eusebius who wrote 200 years after the apostles that icons were indeed used in the apostolical era? For the same reason every other iconoclast does....it does not fit their narrative, so its thrown out. Then again, alot of us (people in general) are guilty of that. I know your answer is long, but most of it consists of legends. "Theotokos icons from St. Luke", where Luke never wrote about them. St Luke never wrote, as far as I know, about his parents. So did he grow out of the earth like corn? And you are WRONG, as the EO church did not give us the scriptures, they may have voted in the official books, but the books already existed. (Of course RC's say the same that THEY gave us the bible). The EO did not exist in the 1st & 2nd century. So many of the practices are different. There are several layers of conflation here. In the first place, terms like "RC", "EO", "OO", etc. are not original to the Church; they were devised in order to distinguish between "factions" which became clearly distinguished after various schisms. When the NT was canonised, there were no major divisions like that. There was "the Church", which used the terms "Orthodox" and "Catholic" almost interchangeably. EO and OO refer to their Churches as "Catholic", and in the Roman Canon (the main anaphora of the RC's), the first prayer commemorates the Bishop of Rome, the local bishop, and "all the Orthodox who hold and profess the Catholic and Apostolic faith" (or however the Latin translates). If you want to argue that there was no such thing as "EO" in the first and second centuries, you're only right in the sense that there were not the divisions back then that exist now and for which we require new terms. But you're dead wrong if you think that what is now called EO cannot claim a historical continuity with the Church of the first and second centuries. So many practices may have changed, adapted, or been introduced since the earliest days: for example, we haven't had to seriously worry about being crucified for our faith in a long time. But changes don't automatically indicate that it's a whole new religion anymore than you are a whole new person with every year you've aged. The Church on earth lives in time. Stuff happens in that time. 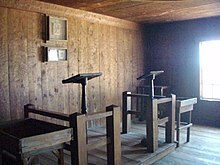 But it is the same Church because it is the same Body of Christ. When the NT was canonised, the books that "made it in" already existed, but so many other books existed as well. In the sense that the Church did the sifting and determined what is Scripture and what is not, yes, the Church gave us the NT (never mind that it was members of the Church, founders even, who wrote the NT, giving those writings to the Church). Your post makes it seem like "voting in the official books" wasn't that big a deal. If so, that's preposterous. If there were icons in the 1st/2nd century, there would be writings about them at least, or several evidences of them. The EO church has an abundance of them in every church, yet they were non-existent, non-commanded, nor required by the earliest Christians. (I say required, because I don't believe you could be EO without venerating icons). Why would there have to be writings? Because while people were converting in secret and running for their lives to avoid being crucified, tarred, burnt, or fed to hungry animals for the sake of Christ, they had an obligation to write books about art? Art is something that can take off once you don't have to worry about persecution; art takes off when there is money, properties, patronage, etc. Frankly, I'm impressed that there are any examples at all of Christian art in the catacombs. Some examples of early art have been posted, but you're not going to find a first century church that looks like St John the Baptist in Washington, DC. It's anachronistic to expect that the 21st century EO churches full of iconography you see around you should've existed in the first century if it was a truly legitimate practice. I agree with you that current EO practice regarding icons doesn't in all respects reflect earlier practice, that now you can't be EO without accepting the veneration of icons as a matter of faith, whereas before it would not have been mandated or required in the same way. My own tradition follows what I believe is the older tradition. But you can't understand the EO position on icons without factoring in the history of iconoclasm and how and why icons "won". What may not have been a theological matter before became a theological matter because both the iconoclasts and the iconodules made theological arguments for and against icons; when the iconodules "won", it was because their theological arguments were sound, and the iconoclast arguments were against the faith. After it's "gone there", you can't ever return back to the time when icons "weren't a big deal". You could if you were never part of the argument (like the OO); but even for us, while iconoclasm wasn't our fight, we agree wholeheartedly with the theology of the icon as expressed by the EO. +1 A most thoughtful, well structured and well reasoned argument. Thank you. The problem with that is no one really knows whose church the one in Dura-Europos was. For all anyone can really claim, it might've been a gnostic sect. It wouldn't be Gnostic. The Gnostics believed matter to be fallen or evil, and had a problem with depicting Christ in the flesh. There was a thread about this recently, about how many Gnostics were actually docetist and believed Christ's body was not even real. Probably the first defense of icons was written by the Armenian monk Vrtanes in the early 600's, before the iconoclastic movement ever came to Constantinople. Vrtanes was arguing against Gnostics who objected to icons. They believed that Christ was like an angel, without a real body, and therefore should not be depicted. That of course illustrates why icons are not a problem for Christians. They remind us of how Christ revealed Himself to us in the flesh. With the incarnation, God was no longer invisible; After He was born, He could be seen and touched. During the time of the Old Testament, it made sense to forbid painting pictures of God, since He was not incarnate. After the incarnation, however, it became possible, and venerating icons became a confession of faith in the incarnation. In fact, if you look at the early controversies surrounding icons, the people objecting to them tended to be people who had problems with the incarnation, such as Gnostics or Nestorians. Even the Iconoclast movement in Constantinople is thought by some historians to have been influenced by Islam, which was a growing force at that time. There was no one Gnostic religion. Irenaeus wrote about Gnostics that used images of Christ and set them alongside images of Pythagoras. That was one of the Roman Emperors, not the gnostics. Didn't know Marcellina and the Carpocratians were emperors. But Emperor Alexander Severus was an emperor. Which is beyond the point. It was gnostics, not just the emperor. Nope, it was the gnostics. Jason is right. Irenaeus, (c. 130–202) in his Against Heresies (1:25;6) says scornfully of the Gnostic Carpocratians, "They also possess images, some of them painted, and others formed from different kinds of material; while they maintain that a likeness of Christ was made by Pilate at that time when Jesus lived among them. They crown these images, and set them up along with the images of the philosophers of the world that is to say, with the images of Pythagoras, and Plato, and Aristotle, and the rest. They have also other modes of honouring these images, after the same manner of the Gentiles [pagans]". St. Irenaeus on the other hand does not speak critically of icons or portraits in a general sense, only of certain gnostic sectarians use of icons. If you read the context, Irenaeus seems to be primarily offended that Christ is being placed on the same level as all the other philosophers and that some of them feel that they themselves are not inferior to Christ. Here is my question. If people are so offended by kissing an icon, are they also offended in kissing the hand of a priest? Is the veneration any different? I'm fairly sure that YiIA objects to both, so in this case I don't think this is the right question to ask. YiM, do you object to kissing a priest's hand? In another thread you acknowledged that the Eucharist is the very Body and Blood of Christ. How can you not kiss the hand that prepares that? It's got maps and everything. Have you read "Defending Constantine" by Peter Leithart yet? If not, why not before making all these pronouncements about St. Constantine the Great? Which is again not the point in this discussion. The point was simply Gnostics did use icons as well so the fact that there are icons cannot be taken either as evidence that the Dura-Europos church was orthodox or that it wasn't gnostic. Based on the available evidence we can't do as everyone does and assume it simply must be orthodox. We have no references to anything about the church or the people there, either within the site its self or anywhere else. I agree with you. My point with that was just to prove that even in Early Christianity, images were used, and they did not suddenly appeared, as many claim, after 325 AD. That is why st. Irenaeus does not seem to be offended by the image of Christ, but of the way that the Gnostics "venerate" His image. Sorry for not being clear. I was agreeing with your point, DuxI. Gnosticism placed no emphasis on sins and considered the goal of salvation to save from ignorance, not sin. Sin was just a side effect of ignorance according to gnostic teaching. On the contrary, the church emphasized repentance of sin. I think it is quite clear that gnostics did use images, but this particular image would not be considered gnostic. The first icons were painted on the walls of catacombs. Not very well preserved today, but there are traces of several OT scenes, images of Christ and his Mother. The practice took off after Constantine ended the persecutions, allowing Christians to express their faith openly without hiding behind symbols. What years & was there veneration? The only catacomb art that has dates that I can find were from the mid 4th century. Icons cover every inch of the inside of a church. In your opinion, are they venerated or not? Catacombs by definition were used in the early years of the church, and preservation of sacred art was not high on people's priorities then. If you need something more specific, you need to find a specialist. Icon artifacts from the 1st Century do not exist, nor are there very early writings about them, nor are they written about in the bible. Yet they are all over the EO church, which claims to be original Christianity. New Testaments from the 1st Century do not exist either. Maybe it wasn't written. Icons covering every inch of the Church did not come into vogue until after the experience of the Iconoclast persecution. It's amazing how people value something more after it has been taken from them. 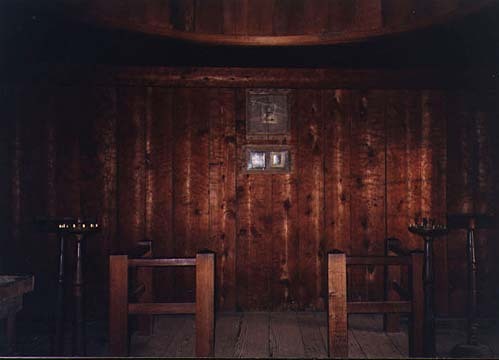 So we can conclude that during the 19th century (Fort Ross was founded in 1811 and evacuated in 1841) the Russian Orthodox Church was iconoclastic or at least minimalist when it comes to icons in Church. 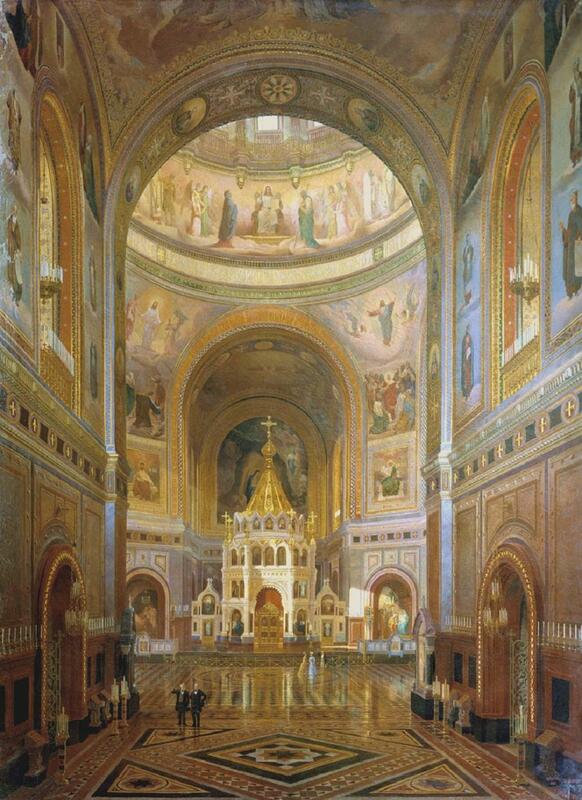 (Christ the Savior Cathedral in Moscow, conceived and erected in the same era as Holy Trinity chapel at Fort Ross). 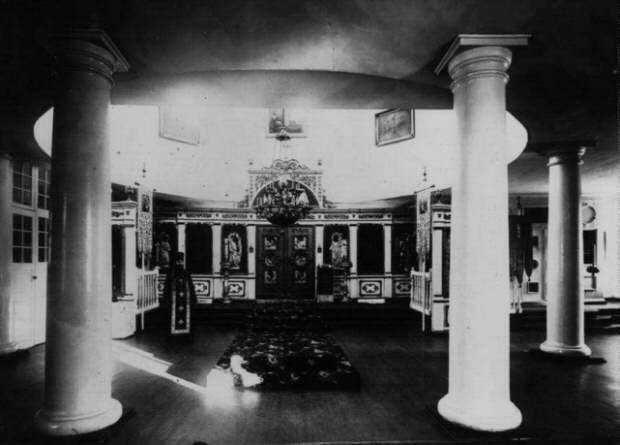 The Orthodox of Holy Trinity Cathedral in near by San Francisco coming to exercise their right to have DL there (something that the State of CA, to which the Fort passed and is now a State Park, has allowed since the 1920's. 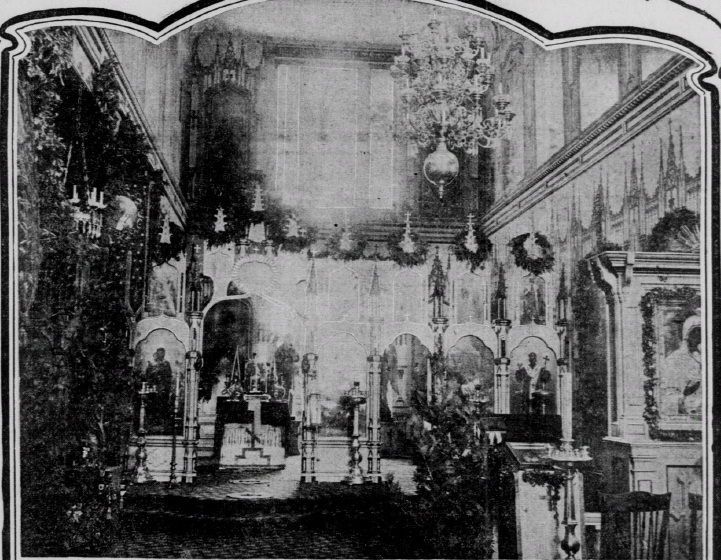 The Church had been trying to recover the chapel since at least the 1880's). They bring their icons and liturgical items with them-leaving them in the care of the state would break canons. 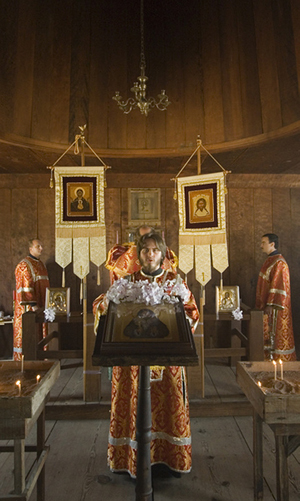 Since this picture was taken, they have put icons of the Feasts on the sides, and a Pantocrator on the ceiling. Each year, the church organizes a course for painting Traditional Romanian Glass Icons for young between the ages of 9-15. The small church is painted in the Byzantine and the Neo-classical style by Romanian artists, Costel Iarca, Mircea Ciornei and Mugur Simionov, residing in Chicago. But according to your logic, the State Park system of CA and the Central Baptist Church (Iglesia Bautista Central) must be original Christianity. leaving them in the care of the state would break canons. Interesting. I guess you are right about there being so many variations of Gnostics. It's kind of like Protestants with so many different belief systems. Regarding their rejection of icons, it could be some accepted them, but the ones with the docetist or adoptionist tendencies tended to reject them. 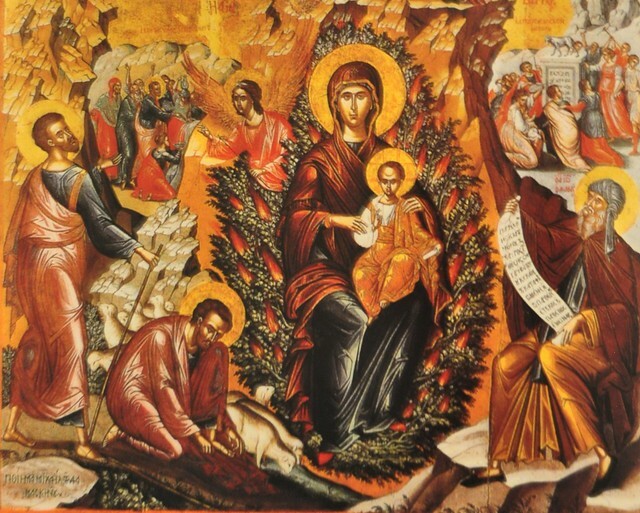 The ones in Armenia rejected icons, hence Vrtanes' early defense of icons. What an unexpected way to end the story, all the big pictures distracted me...LOL! Armenians...defending icons before it was cool to defend icons. Awesome! But let's go with the logic of jesusiamism. 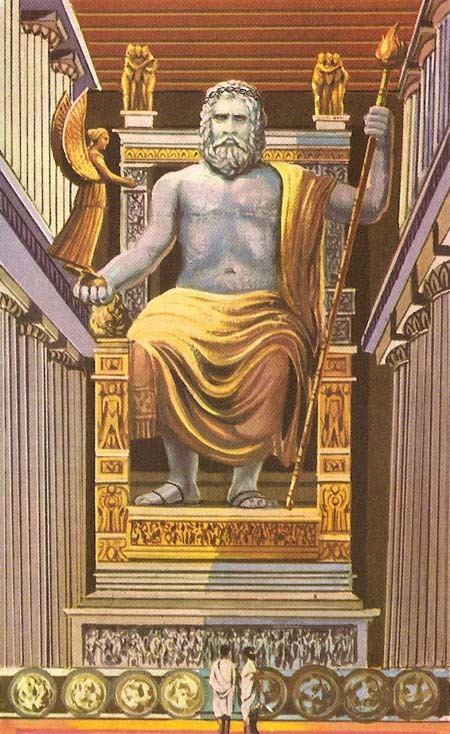 They tell us that among the Wonders of the World was an enormous idol of Zeus at Olympia. I've been to Ephesus. I didn't see it. 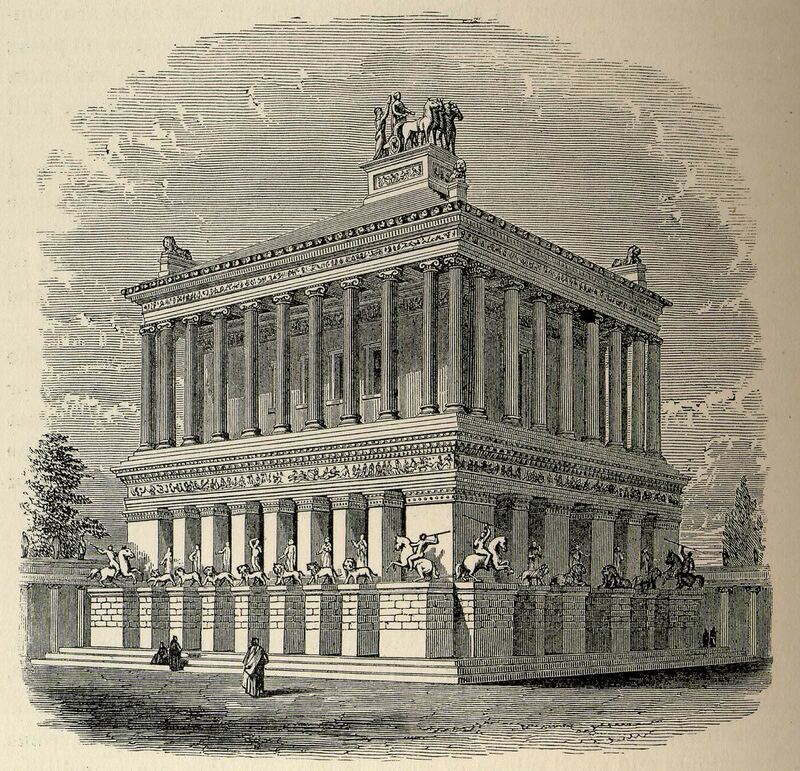 I've been to Halicarnassus. I didn't see it. 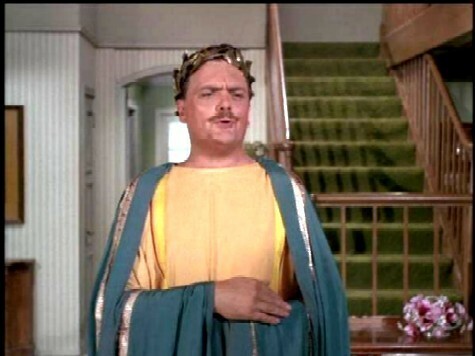 I haven't been to Rhodes, but it doesn't matter: I wouldn't see it. I've been to Alexandria. I didn't see it. 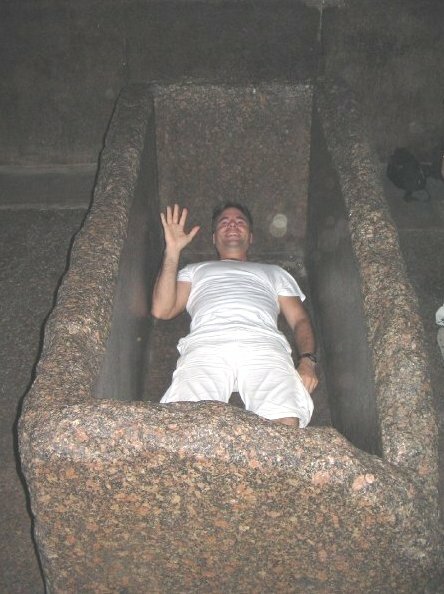 I've been inside the Great Pyramid. No royal mummy to be seen. 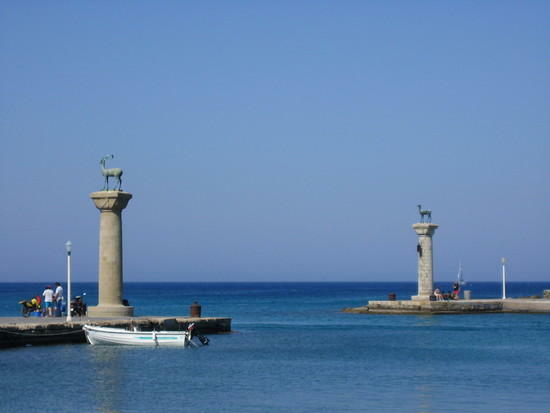 Herodotus, who made up the list of the Wonders, visited in the Fifth cent. BC. He describes the pyramids, but doesn't say a thing about the Great Sphinx. I guess it wasn't there in the Fifth Century BC. Which is odd, given that it is carved out of a limestone outcropping that predates the pyramids, and between its paws lies an image of Thutmoses (1401–1391 BC) a millenium before worshiping it. I have learned from this thread that I need to become better friends with ialmisry and maybe I will get invited to go on super cool trips. consecrated objects are not supposed to be turned over to profane hands. Yet they are all over the EO church, which claims to be original Christianity. Yes, they are. Yes, it is. Your point? My point is, icons can't be proven to be part of the original church, yet are a major part of the EO faith. Sola Scriptura can't be proven to be part of the original Church, yet is a major part of the jesusiamist "faith." What is proof? If someone asks me if the dishes are washed I could show them clean dishes as proof. If you want to proof that someone murdered the victim a positive dna test would suffice. But if you want to verify that a few thousand Greek soldiers fought the Persians at Gaugamela you could point to a passage in Arrian as proof. And yet Arrian wrote centuries after the Battle of Gaugamela. Does that reduce the Battle of Gaugamela to a mere legend which cannot be proven? Should the Battle of Gaugamela be reduced to an ahistoric fiction? 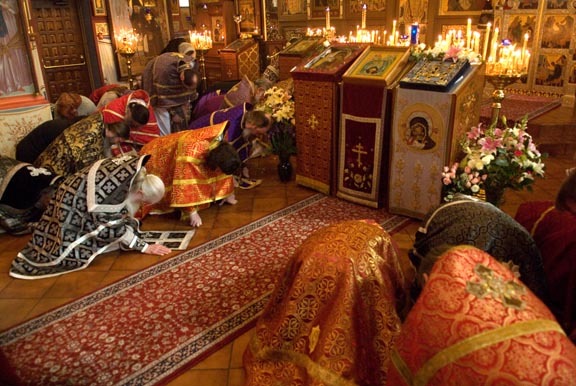 Like a surviving icon or writings from the 1st century about icons and veneration. Pretty simple. For example, every Roman emperor had official portraits made, which were copied and distributed throughout the empire, to all levels of society). out of the thousands (if not hundreds of thousands) of portraits made for each of the nearly one hundred emperors from Augustus to Constantine, only this one has survived. Given that these state sponsored images did not survive, how do you expect those images whose possession was a capital offense should survive in profusion? to this in a Renaissance "restoration"
I'm not interested in any truth but that which fits into my narrow-minded view of what Early Christianity must have been. Thou shalt not bear false witness to thy neighbor. Also of course the text was copied, none of which mentioned icons. Sure. If you say it enough, you will more and more convince yourself not to repent. You mean in front of an icon? Kind of circular. I'm actually looking for clear cut sources. Look if I'm wrong, I'm wrong... I can accept that. I see you saying it. I just don't see you meaning it. But I can't accept icons as original until I see something. If I ever rejoin the EO church, I must have clarification on things. I can't just "venerate", and go on, when I feel it is sinful. well, you have your choice: either Christ meant it when He said the gates of hell will never prevail over the Church and He is with the Church always-lit. all the days-even unto the end of the age, or He is a liar. In which latter case, we need not worry about anything he said. YiM, go home buddy, you're through. Professor, you have a PhD, correct? So can we call you doctor? We keep giving the same answers because people keep asking the same questions. Exactly. In this case the style of argument I complemented was an appropriate, and long overdue, response to a poster who has rejected the Orthodox church, which is his right, but who keeps coming back here asking variants of the same question repeatedly. Or how about this challenge. I want historical proof from the 1th century proving that Christ truly ascended into heaven. Sometimes the measures can cause a problem, not the answer. Is it not proof enough to at least point out the cherubims on the ark. 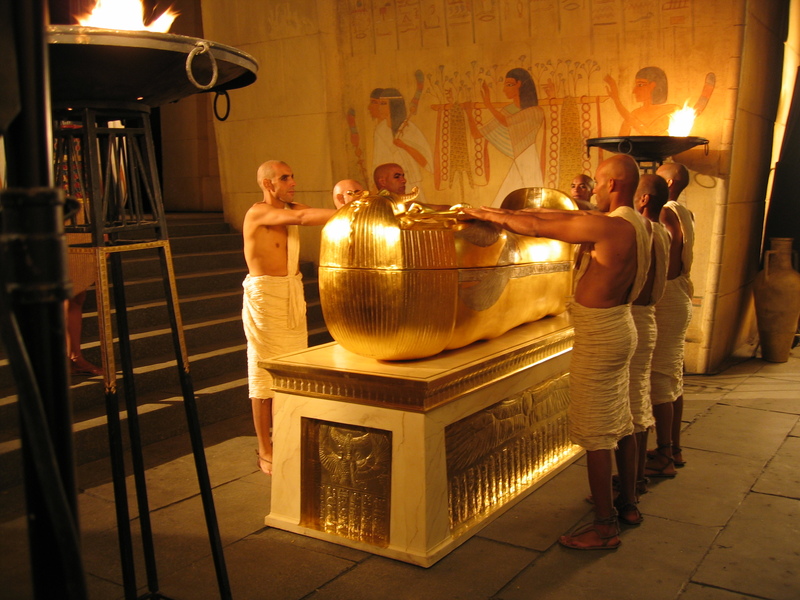 Or do the jew now need to present the ark to prove that point to be a true one? The difference is these things were WRITTEN about in the scriptures. Icons at the time of the apostles were NOT written about. Many, many things were not written about. St. Paul mentions this when he tells the people to hold to what he has taught in his epistles and by his words. Or do you imagine he only communicated in writing, even when he writes that for a long time he pleaded with people, warning them that heretics would appear who would say things like "God should not be depicted in holy icons." "In the beginning was the Word, and the Word was with God, and the Word was God...He was in the world, and the world was made by Him, and the world knew Him not. He came unto His own, and His own received Him not...And the Word was made flesh, and dwelt among us, (and we beheld His glory, the glory as of the Only Begotten of the Father,) full of grace and truth." John 1. 2) Obeying the 1st Commandment, having no other god before God, and obeying the 2nd Commandment seeing the image ("ICON") of Him Whom the Heavens could not hold. 3) Obeying the 1st Commandment and serving Him. 4) Obeying the 1st Commandment and bowing down to Him. "And when they were come into the house, they saw the young child with Mary His mother, and fell down, and worshipped Him." Matthew 2:11. Because what they received, what they taught, what they passed on, what we stand firm in, what raditions we hold which were taught by the Apostles, whether by word, or by letter (II Thessalonians 2:15), what we-remembering them in all things, receiving their praise-hold firm, what traditions, even as the Apostles delivered to us (I Corinthians 11:2), because THAT differs from what those who walketh disorderly millennia after, and not after the Tradition which he received of the Apostles-Or rather, such novelties differ from the 'Faith of the Apostles-because of that differnce we are to hide our eyes from the unbroken cloud of witness which surround the One, Holy Catholic and Apostolic Orthodox Church, so we can don the veil of Moses and walk in the way of the Pharisees? So we can follow someone who not only has not seen the light of Christ, but refuses to behold the radience of God's glory and look in the face of Christ, the icon of the invisible God and the express image of His person, and see the Father? (John 14:9; 2Cor. 4:4; Col. 1:15; Heb. 1:3)? Mat. 15:14 "Let them alone: they be blind leaders of the blind. And if the blind lead the blind, both shall fall into the ditch." Or into hellfire, whose gates shall never, by the divine word of God the Word, prevail against the One, Holy, Catholic and Apostolic Orthodox Church. 2Cor. 4:4But even if our Gospel is veiled, it is veiled to those who are perishing, 4 whose minds the god of this age has blinded, who do not believe, lest the light of the gospel of the glory of Christ, Who is the icon of God, should shine on them. 6 For it is the God who commanded light to shine out of darkness, who has shone in our hearts to give the light of the knowledge of the glory of God in the face of Jesus Christ." So, for us who have received the Apostles, we withdraw, as the Apostles commanded, from those that walk disorderly, and from those who do not walk after the Tradition which were received of the Apostles. II Thessalonians 3:6. The leaven of Apostolic dogma has risen in the One, Holy, Catholic and Apostolic Church, which is all leavened and fills all the earth. But Mr Persson has not“take[n] heed and beware of the leaven of the Pharisees and the Sadducees," (Mat. 16:6, 12) citing their Talmud here as elsewhere, and prefering their Masoretic Text, not heading the Apostles' warning (I Corin. 5:) that "6[his] glorying is not good...not know[ing] that a little leaven leavens the whole lump?" and that he should "7 Therefore purge out the old leaven, that [he] may be a new lump." The Apostles are "indeed, as absent in body but present in spirit,"-having passed on the Spirit of prophecy in the laying on of their hands on the Orthodox Catholic bishops-"have already judged (as though [they] were present) him who has so done this deed. 4 In the name of our Lord Jesus Christ, when you are gathered together, along with my spirit, with the power of our Lord Jesus Christ, 5 deliver such a one to Satan for the destruction of the flesh, that his spirit may be saved in the day of the Lord Jesus." "For indeed Christ, our Passover, was sacrificed for us" something the One, Holy, Catholic and Apostolic Church centers our year on but I fear Mr. Persson does not celebrate "8 Therefore let us keep the feast, not with old leaven, nor with the leaven of malice and wickedness, but with the unleavened bread of sincerity and truth." The invitation is open, but Mr. Persson chooses to reject Scripture and turn down the invitation. "8 This persuasion does not come from Him who calls you. 9 A little leaven leavens the whole lump. 10 I have confidence in you, in the Lord, that you will have no other mind; but he who troubles you shall bear his judgment, whoever he is." Gal. 5. 29The Spirit told Philip [who, like the bishops, had the Apostles hand laid on him, Acts 6:5-6; II Timoty 1:6-7; Titus 1:5-6], "Go to that chariot and stay near it." 31"How can I," he said, "unless someone explains it to me?" But Mr. Persson does not believe this Scripture. He reads and does not believe what he reads, so he doesn't have a clue what the Bible says. We read the Bible and believe what the Church which wrote, canonized and preserved the Bible says, and the Fathers who testified for the Church in explaining the Scripture, standng firm and holding fast to the Traditions taught by the Apostles, whether by word or letter (II Thess. 2:15), so we know what the Bible says. With God all things are possible, but the man Alfred Persson kicks against the goads, trying to make it impossible with his man made tradition, making God's way difficult, holding fast to any crooked ways, putting every obstacle to God reigning in his heart as Sovereign...one of the many voices sent by those preaching another Gospel. Paul we know, and Christ we know, but, as Marc and the rest of Christ's One, Holy, Catholic and Apostolic Church ask "who are you again?" But I am the fool. I really hope you see my cause of concern here. Simply look at that photo & READ THE COMMANDMENT. Hardly. Fragments of Eucharist prayers comparable to those of the Didache were found. And the gnostics had a big problem with the Eucharist, as St. Ignatius and others attest. Really just one post was excellent (up to your post), let's not get crazy. I have a feeling though I have a few more from Isa to laugh with.